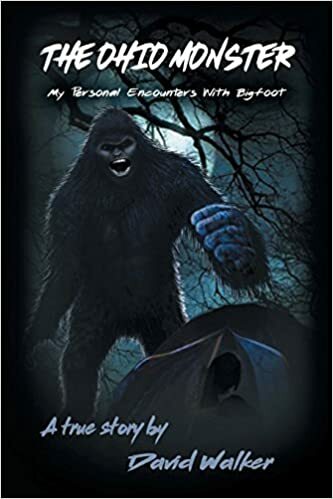 A new book has hit the shelves specifically dealing with a man’s personal experiences with bigfoot in the state of Ohio entitled The Ohio Monster: My Personal Encounters with Bigfoot. I have not read this book yet (a review copy could be in the mail any day), but I love regional books on the subject because of the patterns that can be gleaned from them, along with the locations they provide. The back cover of this book suggests that there are some paranormal aspects to Mr. Walker’s search for bigfoot. While I don’t subscribe to a paranormal explanation for bigfoot, many people do based on their own experiences. This book might be up their alley in that regard, and would be useful to pick up to see if Walker’s experiences match others’ experiences. To order the book from Amazon, you can click this link. For full disclosure, if you use this link, I’ll get a small commission on the sale. However, I wouldn’t even offer the link if I didn’t think some of you would want it for your collection.